1) 31 – What in the name of batty ol’ Beelzebub has happened to Rob Zombie? Once considered one of horror’s most terrifically twisted and offbeat rising stars, he’s been on a depressing downward spiral ever since regrettably rebooting Halloween. His latest, the completely and hopelessly incompetent 31 – a dim-bulb film school student’s gore-streaked redneck take on The Running Man or Hunger Games – is awful to the point of being nigh unreleasable. 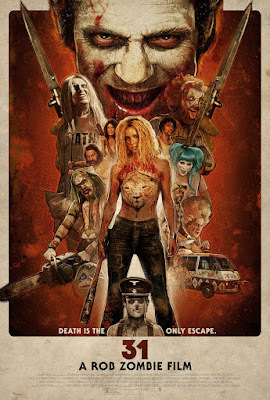 The story, involving a team of carnies forced to survive an underground battle royale against grease-painted psychopaths (headed by a chilling Richard Brake), is merely a lazy excuse for Zombie to shamelessly resurrect ideas from superior past efforts like House of 1000 Corpses and The Devil’s Rejects. Devoid of even a faint glimmer of directorial ingenuity, 31 is little more than a crushingly tedious clown show. 3) INFERNO – Say what you will about the previous Robert Langdon adaptations, they didn’t feel like the principal creative team was just phoning it in. Such is not the case with Inferno, the shambling Dante and Botticelli-themed artifact-chase starring Tom Hanks and Felicity Jones, which feels like it was assembled with all the passion of a 1990s Time Life books infomercial. Scattershot, artistically apathetic and talky to the point of inspiring the viewer to feverishly daydream about better movies they could be watching, Ron Howard’s third time at bat left zero doubt it’s time for the Dan Brown cinematic universe to be ingloriously left to gather dust for the foreseeable future. 4) COLLATERAL BEAUTY – Will Smith really, really needs to stay away from naked high concept Oscar grabs. You’d think he’d have learned his lesson after 2008’s legendarily ridiculous Seven Pounds, which featured an unforgettably bizarre supporting turn by a jellyfish. But no, he only pushed the envelope further in 2016 by appearing in this astonishingly ill-conceived drama about a near-suicidal ad exec whose best friends use elaborate manipulation to convince his company’s board of directors he’s insane following his daughter’s untimely death. And if that sounds utterly reprehensible, the film sure doesn’t seem to know it! Directed with insultingly synthetic feel-good smarminess by The Devil Wears Prada’s David Frankel, Collateral Beauty wastes its all-star cast on an unsalvageable, laughably convoluted story that can’t even coherently explain the meaning of its own unwieldy title. 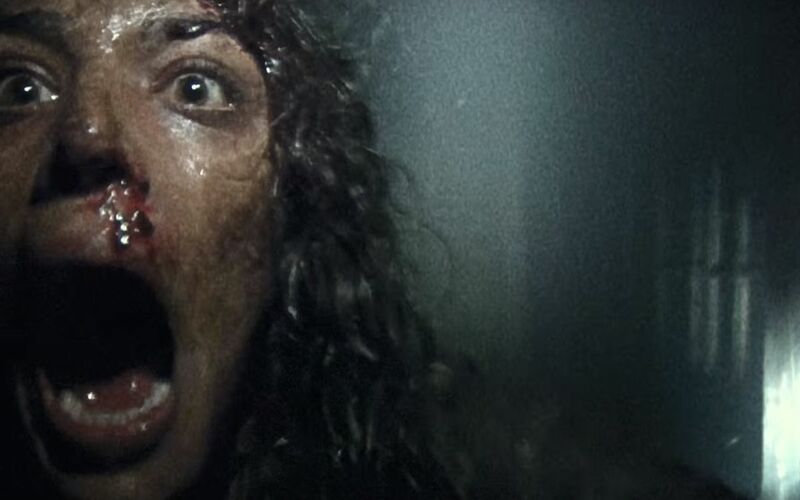 5) BLAIR WITCH – As the ageless expression goes, those who don’t learn from history are doomed to repeat it. Apparently the usually dependable duo of director Adam Wingard and writer Simon Barrett, who previously spawned The Guest and You’re Next, didn’t pay close enough attention to the universal disinterest in 2000’s Book of Shadows: Blair Witch 2. Maybe if they had, they wouldn’t have wasted their precious time cranking out this hacky found footage stinker, which mostly just rips off the zeitgeist-tapping 1999 surprise smash with far more screeching noise, cheap jump scares and braindead character decisions. Fittingly, however, audiences warded off the spell of Blair Witch, which became the lowest grossing installment yet, even after 16 years of ticket price inflation. Eek!